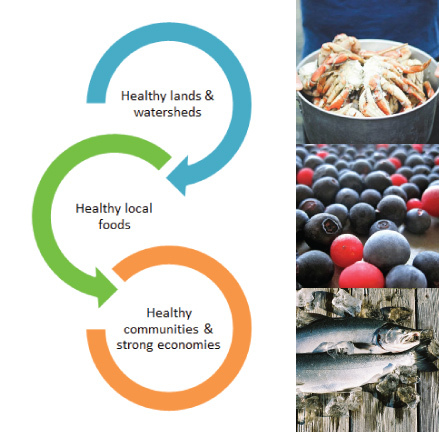 Southeast Alaska’s coastal fishing communities, natural resource economies, and subsistence way of life are all deeply connected to the watersheds that support healthy salmon runs, wild game, and wild edibles. Maintaining these wild food sources requires sustainable management of lands and waters. Through our Community Food Sustainability Program, SAWC fosters watershed stewardship by strengthening the connection between our land and water, the foods we eat, and the cultural and economic significance of these resources. According to a recent report, Southeast Alaskans import 95% of their fresh produce, leaving communities vulnerable to food shortages and exporting local dollars out of state. 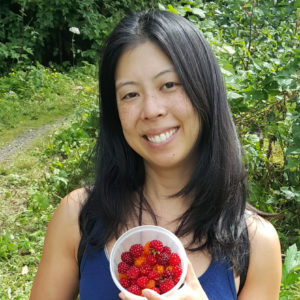 SAWC and our partners work to facilitate access to thriving wild food sources and encourage local cultivation and development of responsible agriculture to build a more resilient, localized food system for Southeast Alaska. 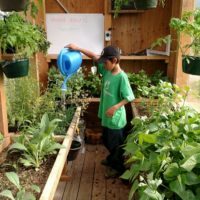 The goals of the Community Food Sustainability Program are to support local economies, foster watershed stewardship, provide access to nutritious local foods, and support vibrant cultural and community traditions. 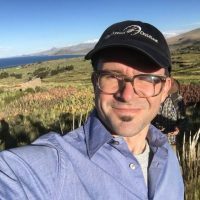 SEAK’s online farmers market – Salt & Soil connects Southeast Alaska food consumers with growers, fishermen, foragers, and gardeners through a community marketplace that merges the best of online and real-time shopping. 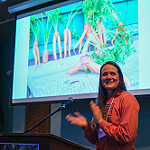 A bi-annual event bringing together the region’s food producers to share, learn, and connect; builiding a strong network aimed at increasing Southeast Alaska’s production of local foods and agricultural business capacity. Each year Moby will travel to a different Southeast Alaskan community where it will live for a whole growing season, starting March or April through September or October. The greenhouse will be delivered equipped with soil, a teacher guide, and an activity manual for grades K-12. The recipient will be responsible for providing seeds to plant and will be chosen based on their commitment and readiness. Moby is a project of the Southeast Alaska Watershed Coalition and the Sustainable Southeast Partnership.